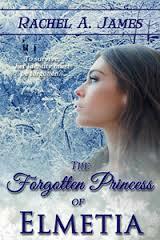 The Forgotten Princess of Elmetia by Rachel James is a Medieval romance with plenty of action. The book takes place in the 600’s AD of Great Britain in the region of Elmetia where Princess Teagan as a girl finds escape from the carnage of her father’s kingdom in taking on the identity of a servant. She is transported to another land where she serves an evil king, all the while believing that not only had her father perished in the battle, but her older brother, Niall, as well. Teagan comes across information that her brother is still alive and a warrior, Ryce is being commissioned to kill him. She escapes to try to seek out her brother and warn him. Unfortunately a series of misadventures occur when she is rescued by Ryce and his side-kick Sherwin, then captured and rescued and . . . well, I don’t want to give away spoilers! Teagan is an intrepid young woman and devoted to her family but even finding her home as royalty again, she realizes that she didn’t gain the freedom she thought she had and struggles with her role as Princess in a new land. Learning to trust Ryce, the Saxon warrior who was initially her enemy adds an interesting wrinkle to the story as well as Ryce and Sherwin’s struggle to understand the God of the Bible as being superior to multiple gods. I was amazed at the amount of research this author put into her story and I believe that women, young and old will enjoy the tale of this Princess and her struggle not only for freedom for her and her people, but also for her own identity and for love, will grip the heart of any princess-tale loving little girl who still lives in many women. I look forward to reading the sequel when it comes out next year! 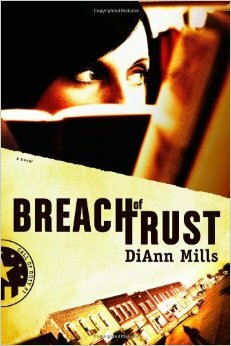 DiAnn Mills is a fabulous romantic suspense author so when I came across her book Breach of Trust, I was thrilled. This book was the winner of the 2010 Christy Award as well as the 2010 Inspirational Readers Choice Award. And for good reason. 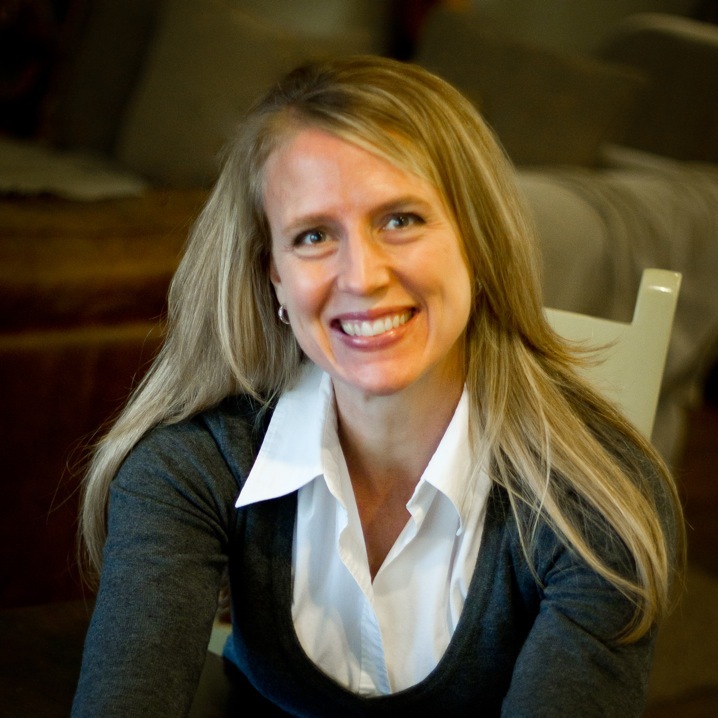 When Daniel Keary runs as a candidate for governor of her state, former CIA agent, Paige Rogers is on edge. Having worked with him seven years ago, his betrayal and lies cost her everything. Her identity, her family, her career . . . and her son. Now he wants her under his thumb but Paige isn’t quite so gullible. Her newfound faith since the tragedy of those events, propels her to work on the side of truth, before more people are killed to bankroll Keary’s dreams. 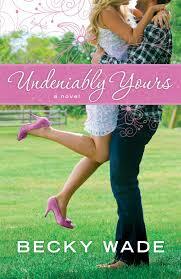 In hiding as a small town librarian, she runs into a snag with the attentions of the High School football coach. But if she admits who she really is, she will lose all she holds dear and risks lives of those she loves most, even those she had befriended in her new town. But there’s at least one mole, in her town or in the CIA that is undermining her attempts to seek to protect the citizens of her state. But along with choices in who to trust becomes an issue of how she can live a lie while clinging to God. How far can she trust Him with the truth and the outcome if she steps out of the shadows to confront evil? This was an anxiety producing read. 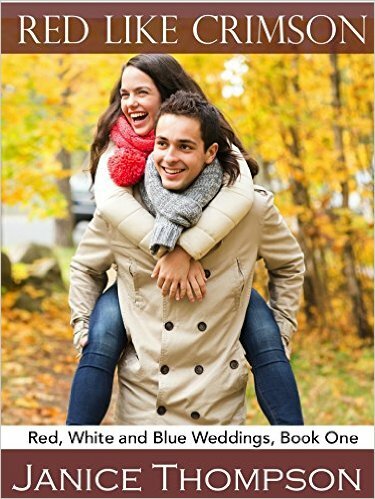 It was hard to put down because the characters were so well-developed and the layers of mystery unfolded at such a pace to keep the reader wondering if Paige was really going to succeed, much less survive. Could all the dreams had sacrificed be restored to her if she stepped out in faith? You’ll have to read the book to find out! There’s a reason it won awards. 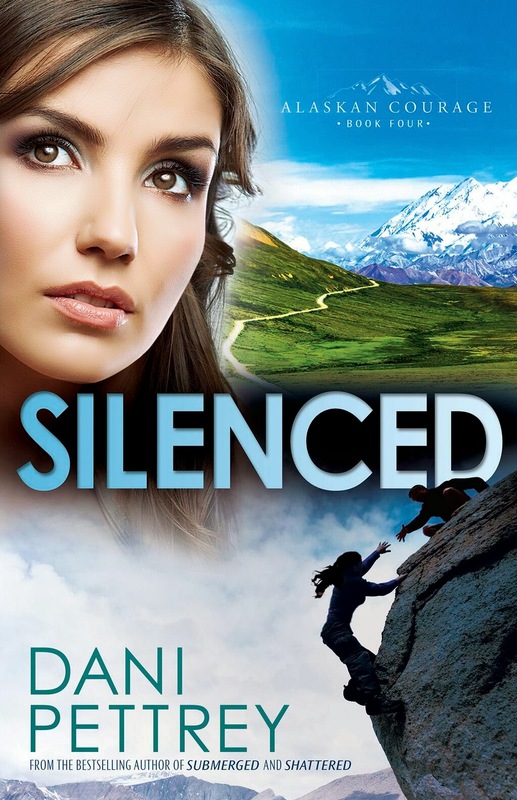 Silenced is the fourth and final book in Dani Pettrey’s Alaskan Courage series. I find this terribly sad because I wanted Reef to have his own story! Boo hoo. Kayden McKenna is probably the most walled up emotionally of the family. Things changed between her and Jake Westin during the last adventure when his past was revealed. 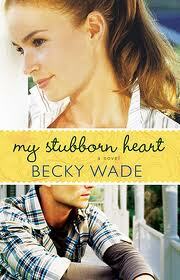 It stripped away Kayden’s defenses as her heart warms to the tragic past Jake had hidden from them all. Kayden however is thrust into solving a crime with Jake after she discovers the body of a dead climber and realizes that it had to be murder. Asking questions in small Alaskan villages amongst the tight-knit climbing community seems to have put her, and Jake, in the crosshairs of the killer who is teasing them and stringing them along. But is there one murderer to track? 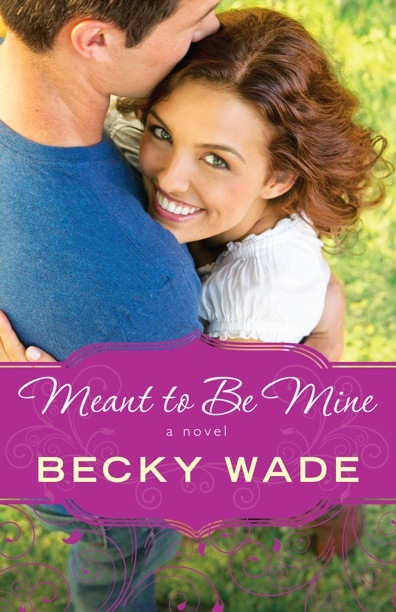 Jake is head over heels in love with Kayden but doubts she would ever return the affection. As they work side by side and face an enemy from his past, will either of them be alive long enough for him to tell her how he really feels? Stalkers and uncovering the ugly sins of others has consequences, even for those who have done nothing wrong and Jake and Kayden have to work together to uncover the killer(s). Fascinating story that kept me guessing while giving an inside look into the world of rock climbing (that I will never engage in!). 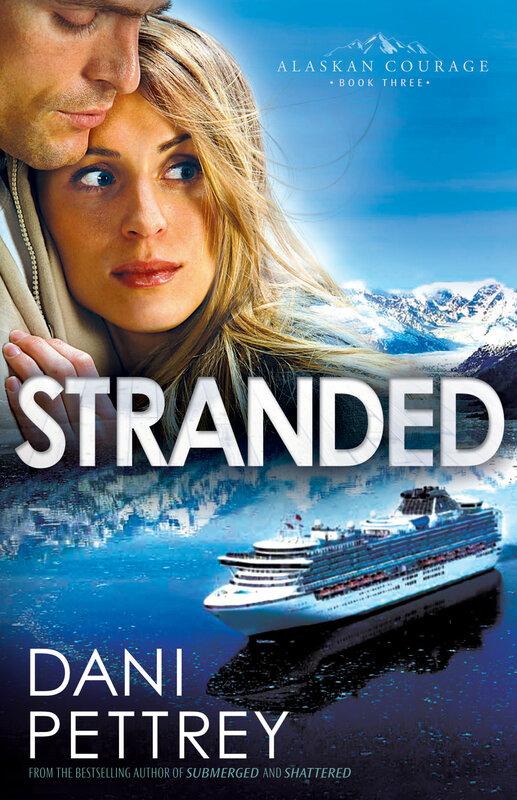 I’m only sad it is the final story in the series, but look forward to seeing what Dani comes up with next to keep us from sleeping at night. “Fine, Mr. Cavendish. I have your favorite room ready. I even went to set the thermostat just the way you prefer.” After a quick swish of his pen on the bottom of the print out I handed over the key to room 211. It faced away from the parking lot and with a storage room on the other side of one wall, it provided Mr. James Cavendish with the kind of quiet he preferred while on the road. James leaned across the counter. No small feat as it was four and half feet tall. “Are you working tomorrow, Peaches?” He told me he called me Peaches every time he checked in because he said I was a refreshing treat after a hard day of business meetings. I think it’s because of my strawberry-blonde hair. The name on my tag is Karen though. I gulped. Not that I didn’t find James attractive. I did. Way too fine a man to be paying the likes of me any attention. He’s tall and with a deep tan and dark hair. Clean-shaven, he always wore sharp, but simple business suits with a fun tie. His smile could light up the town if the power ever went out. Empty dreams awaited down that road. 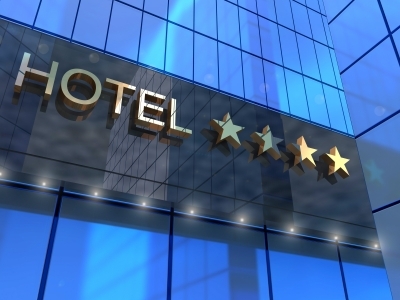 Plus, last night the guy I had been dating, decided to check into the hotel. On my shift. With a top heavy gal wearing fewer clothes than most Sports Illustrated swimsuit models do. Well. I’m exaggerating a little. About as little as her dress was anyway. Obviously I wasn’t putting out since the only way he was getting that kind of treatment from me would cost him a ring and a wedding. Obviously I was out of his price range. Dirtbag. So I go from him to this fine specimen? The contrast startled me. His smile was broad enough to reveal a dimple. Won’t that be something to dream about tonight? “When I was in college, I would study or work on papers. Now that’s I’ve graduated I sit back and read. “No. For you, James, I’ll carve your initials. Will that make you feel better?” I grinned and his shoulders relaxed. He nodded. Week after week it was the same. James would come down to visit across the counter. If it got later and things were slow, I would sit out in the lobby with him. As long as I could get to the phone quickly, it was okay with my boss. I looked forward to his visits. A few months passed. James had been on vacation for two weeks, and I didn’t get to see him until after that. When he strode in the door, he wore blue jeans and a t-shirt that fit oh-so-well across his chest. I almost didn’t recognize him. “Good evening, Peaches! I’ve got some great news!” His pen made a quick flourish on the paper as I slid the key to him. My heart sunk to my toes. I think somewhere deep inside of me I even tripped over it as I filed his paper. I’m sure my confusion was written all over my face. He dropped his eyes as he nodded. Another customer walked in and I was busy for the next several hours. James never came down to visit. I went home that night and licked my wounds in private. More like licked my spoon of very drop of Ben and Jerry’s I had in my freezer and suffered from brain freeze that did nothing to relieve the ache in my heart. I had already turned in my resignation at the hotel and had planned to share the news with James, that I had finally nailed a job in my field. I would be doing marketing for a local company. This last night had been my final evening at the hotel. It’s sad but James and I had shared all kinds of things. Dreams, favorite colors, foods and pets. We had talked about our families and childhoods. The highs and lows in our lives. The bad dates and the almost-the-right-one dates. We even shared a similar faith. I had never once asked him about his work. I figured he was trying to relax from it. I didn’t even know the name of the company he owned. Still, I thought he should have told me. I would never have even entertained foolish thoughts of a future between us. And I did. I was glad I had a week off between starting a new job to devour some more ice cream and then torture myself at the gym. All in an effort to forget this enigmatic man. My only consolation was that while it was possible for us to bump into each other in this town. It wasn’t likely. I got a lot of ribbing from my co-workers and I kept the flowers there until that Friday night. After that week, I took the wilting flowers home. As I placed the vase on my kitchen table, I couldn’t help but think of James’ startling grey eyes and the way one little curl appeared if his hair grew too long. The rest was straight. Black as midnight. I wondered if I had missed my one chance of love with one of the really good guys out there. My roommate, Stacy, whipped past and plopped a stack of messages in front of me. “Call the guy. He’s driving me nuts. I’m out of here for a date. See ya in the morning.” The door slammed shut. I leafed through the pieces of paper. James. James. James’ secretary, Carol. James, James. The same number left on every page. By the time I finished the stack, I had the number memorized. I hung up and it rang. I rushed to change and threw about five outfits on the bed. I finally decided on a nice pair of slacks, comfortable shoes and a simple sweater. I wasn’t going to be any more than I ever was. If James didn’t like that, then too bad. I would rather know that now. An hour later, to the minute, there was a knock on the door. I opened it to find him there in casual slacks and a button down shirt open at the collar and blazer. I swallowed. It had only been a few weeks since we had last seen each other. So why did he look better than I ever remembered? I shook my head, grabbed a wrap and my purse and let him lead me to his car. I nodded and let him lead me through a path edged with flowers. The birds sang and swooped around us as we strolled under the trees. The sun hadn’t set yet and the sky had a strange light. Soft and beautiful. We came to a bench and he motioned for me to sit. I did and he sat next to me. I nodded. Friends. Wasn’t that the death knell to any relationship? He nodded as he leaned forward and placed his elbows on his knees and clasped his hands in front of him. “Do you want to know what it was?” He didn’t look at me, but stared across the path at a bunny rabbit chewing on a flower. “Then let me show you.” His lips met mine and every bone in my body turned to melted wax. I was as light as air, carried away on a dream and a prayer. When he pulled back, all I could do was stare. “I’m sorry. I didn’t mean to do that. Well, not so soon anyway.” That dimple appeared. I remained silent. I had no words. My brain was mush. Puppy dog eyes couldn’t have begged sweeter than he did. I would have given him he moon if it had been in my power. “First . . .” He dug in his pocket and pulled out a stunning ring and placed it on my finger. My words were cut off by his kiss. I think he got the point.